The drug known as "Miltown" was once a Hollywood phenomenon, and formed the basis of how we treat anxiety today. So why have you never heard of it? One in six Americans takes a psychiatric medication. The number of Canadians who got at least one prescription for psychotropic drugs went up 54 per cent between 1983 and 2007. But to understand how Prozac and Zoloft became household words, you need to learn about Miltown. There's a good chance you've never heard of it — but at one time it Miltown took the United States by storm, and laid the foundation for the ways we treat anxiety today. There's a lot of cultural angst about how pharmaceutical companies market drugs to consumers — and a disconcerting sense that they serve a market they created for themselves. That discomfort becomes even more pronounced when we talk about drugs that treat anxiety and depression. But according to Andrea Tone, author ofThe Age of Anxiety: A History of America's Turbulent Affair with Tranquilizers, the history of psychiatric medicine doesn't quite support that popular narrative. Miltown — a tranquillizer with the chemical name of meprobomate — wasn't created because a pharma executive thought that treating anxiety could lead to big bucks. It was discovered by accident by Frank Berger, a brilliant scientist from Pilsen, the capital of West Bohemia, after he fled the Nazis in 1938. He was working on a method of preserving penicillin — and stumbled upon the chemical mephenesin, a relaxant that would eventually lead to the drug known as Miltown. Berger had wanted the drug, which had the unique property of relaxing users while keeping them awake and alert, to be classified as a sedative. But an associate eventually convinced him that the market was full of sedatives, and that what the world really wanted was tranquility. Miltown — the first minor tranquilizer — initially took off without a big marketing push. In fact, Carter-Wallace, the healthcare company responsible for first putting it on the market, was initially reluctant to put it on the market. Far from medicalizing worry, pharma had to be persuaded there was enough worry to warrant a pill to treat it. Miltown's introduction into the market was initially underwhelming, selling just $7,500 dollars worth during the first month after its launch in May 1955. But by the end of that year, sales hit $2 million. Hollywood had discovered Miltown — and from then on, the pill became a cultural phenomenon. "When Hollywood understands that there's this drug that isn't going to knock you out like barbiturates, but is going to ease your anxieties some, it's embraced in a way that I don't think any other drug had been embraced before, or has been ever since," said Tone. Soon, it was a bona fide cultural phenomenon, appearing in New Yorker cartoons and on greeting cards. At parties frequented by celebrities, the pills were passed around like peanuts. 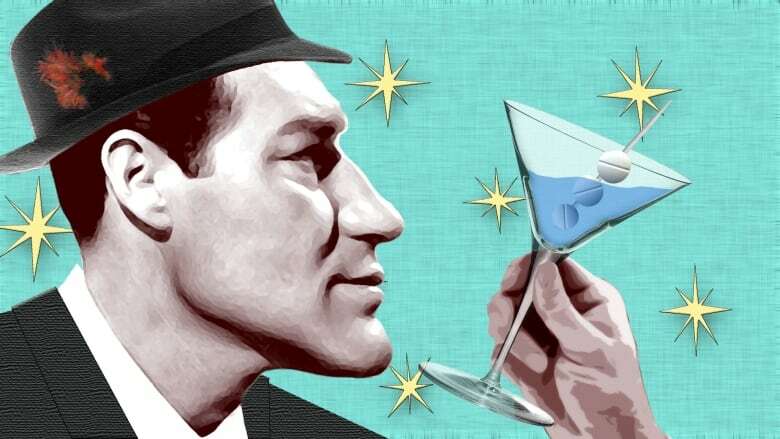 There were even "miltinis" — cocktails with Cold War-inspired names, that combined alcohol with the pills. Milton Berle, who was a giant star at the time, joked that he was so enamoured with the stuff, he should change his name to Miltown Berle. "You don't want a girl, you want a Miltown," he joked to Elvis on his talk show. It's estimated that by late 1956, one in 20 Americans had tried Miltown. If a drug could become so thoroughly engrained in American life — how is it that so few people have heard about it today? In a sense, the drug changed the marketplace so thoroughly, it set the terms of its own demise. Other pharmaceutical companies watched as the popularity of the drug exploded, and saw limitless commercial potential, triggering a feverish race to discover the next best thing. Benzodiazepines — which included Librium and Valium — soon came to dominate the tranquilizer market. By the early sixties, the era of Miltown mania was over. But according to Andrea Tone, none of the present day market for anti depressants and anti-anxiety medications would have been possible without Frank Berger's accidental discovery of Miltown. ​"It is the very first time that millions of Americans — and eventually doctors too — felt that it was okay to take a drug for every day ills, and in that sense it normalized the notion that people who didn't have serious illnesses, who are just riding the roller coaster of the vagaries of life could pop a pill, and there's nothing wrong with that," she said. "That idea, which was new, and phenomenal, has been enduring."